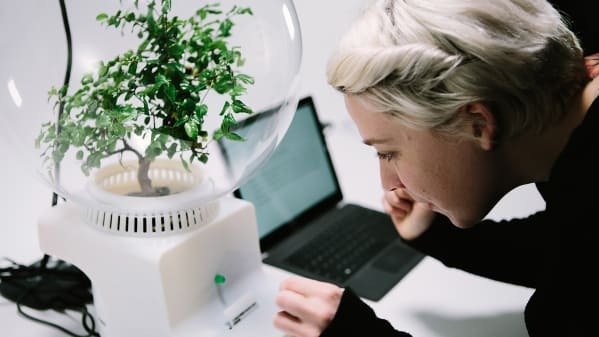 Project Florence is a speculative installation that imagines a future where people and plants can communicate through the power of language and a unique interface—typed sentences and electro-chemical signals, respectively. Users write out messages, which are sent to the cloud where they’re processed and translated into physical stimuli. Those are then transferred to the greenery, and environmental sensors in the soil track changes, or “responses.” The ability to monitor the health of crops with this tech could have huge benefits to the agricultural industry.